Colin grew up in London, Ontario and spent his grade school years involved in a variety of sports such as soccer, lacrosse, volleyball, football and track and field. He also enjoyed keeping active over the summer times as a camper, councilor at multiple camps within the Canadian Shield, and swim instructor/lifeguard. 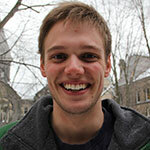 Colin is now in his second year at the University of Toronto studying Concurrent Kinesiology and Physical Education. He hopes to carry on his passion for education, empowerment and leading a healthy lifestyle as a high school gym teacher. Throughout his years, Colin has participated in many extracurricular activities both active and not, including many different types of music, snowboarding, and more recently his favorite intramural; table tennis! He is extremely excited to be a Youth Ambassador and really can't wait to contribute in every possible way to the i2P mission! Emma is currently in her third year at Brigham Young University studying neuroscience. Following her undergraduate degree she plans to continue her education with graduate school and eventually establish a career in research. Emma hails from Minnesota where she grew participating in swimming, cross country, Nordic skiing, track and field, and intramural volleyball. In high school she acted as captain for her cross country and track teams and was awarded the cross country Most Valuable Athlete award during her senior year. Throughout college she has competed with the BYU Triathlon Club as well as individually in triathlons, road and trail races, obstacle races, and bike treks. As a student living part-time in the Midwest and part-time in Utah's mountainous backyard she enjoys hiking, running, rock climbing, biking, skiing, and taking advantage of whatever other adventures present themselves. She has always appreciated the importance of athletics and because of this has made them a major component in her life. Emma is a program director for a BYU service group called Brighter Horizons that recruits volunteers to work with at-risk youth through community service projects. She has also volunteered with the BYU 2ft Prosthetics Club that seeks to develop functional and low-cost lower limb prosthetics for amputees in third world countries. Through her involvement in university functions such as these Emma has gained a greater understanding for the ongoing social issues both close to home and around the world. With this in mind, she is ever grateful for the opportunities that have come her way and uses them as a means to contribute her support in aiding these issues. As an i2P Youth Ambassador for the upcoming Expedition Utah Emma is excited to challenge herself with such an incredible adventure and use it as an instrument to educate, inspire, and empower youth around the world. She is anxious to expand her limits and teach the reality that through vision, work, and persistence positive change is within the reach of us all. Zander has lived the majority of his life in Yellowknife, Northwest Territories and is currently attending Queens University in Kingston, Ontario where he is in the second year of a Bachelor of Science, majoring in Biology. Developing a passion for sports at a young age, he has contended in high performance competitions in soccer, hockey, volleyball, rowing and triathlon. Zander has been fortunate enough to compete in sporting events such as Canada Games '09 and Arctic Winter Games '08, '10 for soccer and is currently on the varsity triathlon team at Queens. In 2011 he participated in a 300km canoe trip down the Coppermine River with a group from the Northern Excursion Club in his high school. This fueled an already existing passion for exploring the great outdoors, leading to his current summer job as a canoe instructor and guide at NARWAL Northern Adventures in Yellowknife. 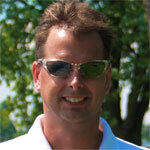 As a guide he has the great job of leading expeditions and instructing paddling courses. He has also traveled to remote northern communities in northern Canada to teach youth paddling skills. 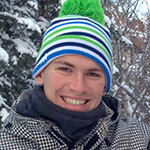 Zander is excited to give it his all in Utah and to teach and inspire with the i2P team! After graduating from high school in the spring of 2012, Holly spent the last year in her hometown of Whitehorse, Yukon, Canada. Having grown up in the Yukon, she acquired a strong appreciation for the outdoors and a passion for many of the activities that it hosts (hiking, running, biking, paddling, skiing and camping). Holly began cross-country skiing when she was four and has raced the Canadian National circuit throughout the past four years. 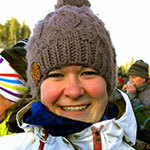 She also enjoys coaching and teaching kids to ski. Her goal in coaching is to provide the younger athletes with a strong role model to help inspire and nurture enthusiasm towards sport and the development of a healthy life style. 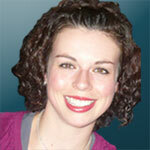 Holly's other hobbies include tobogganing, singing in the car and playing/teaching violin. She will be moving to Squamish, BC to attend Quest University Canada in the fall. Steve is nearing the end of his third year at the University of Northern Iowa, and will graduate in May with degrees in Real Estate and Finance, just days before the expedition begins. While attending high school in Decorah, Iowa, Steve excelled both academically and athletically. 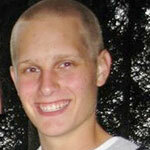 He was a member of National Honor Society, earned 30 college credits, and was named an AP Scholar. A competitive spirit, Steve earned 10 varsity letters, all-conference honors in both baseball and basketball, and was named an academic all-state athlete in track and field. Steve discovered a way to combine his love for travel, passion for volunteering, and pursuit of academic excellence through Camp Adventure Youth Services. This program enabled Steve to spend a summer living in Ramstein, Germany on a United States military base, working as a camp counselor for children of United States servicepersons, whilst earning college credit. During his three months overseas, Steve seized the chance to travel, visiting eight countries throughout Europe. Steve is honored and excited to once again merge his fondness for travel with his desire to give back by participating as a Youth Ambassador with impossible2Possible. Steve has never travelled west of Iowa, and is anxious to see the great American Southwest. He is also intrigued at the thought of the great obstacles, as well as the invaluable life experiences and memories that lie ahead. 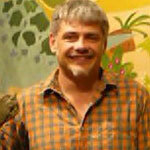 Alan Titus is a geologist and paleontologist from Las Vegas, Nevada. He is currently Monument Paleontologist for Grand Staircase-Escalante National Monument, a position he has held since its creation in 2000. 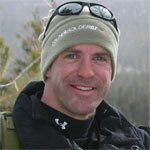 Alan received his Ph.D. from Washington State University in 1996 and subsequently taught at Snow College (Ephraim, Utah) and Southern Idaho University. As Monument Paleontologist Alan oversees the inventory of new fossil areas, insure the collection of critical specimens for preservation, coordinates outside research programs. His research focuses on the utility of fossils as time markers and the evolution and systematics of dinosaurs, marine reptiles, and ammonites. 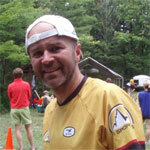 In the sport of ultra marathon Ferg finished first place in the inaugural Eagle 100 miler, Canada's toughest trail run. 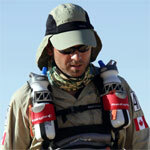 In the world-renowned classic multi-stage Marathon des Sables, held in the Sahara desert in Morocco, his eighth place performance is the highest ever by a North American. 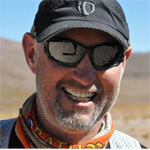 Ferg has twice finished 2nd overall that the 135 mile Badwater Ultramarathon held in Death Valley California. 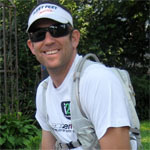 Ferg has also worked on the "Run For One Planet" team as a physical trainer and nutrition consultant during Matt Hill and Stephanie Tait's amazing 11,000 mile run around North America. This is Ferg's second i2P Youth Expedition. 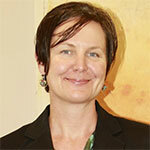 Kelly Stowell, has been the Executive Director of Center for Education, Business, and the Arts, headquartered in Kane County, Utah since 2008. Stowell, also serves as the Kane County Film Commissioner and is a native of southern Utah, where he grew up on a ranch in Parowan, Utah. He earned a degree in Business and Psychology from Utah Valley University and before relocating to Kanab, he was the Executive Director of the Utah Student Association, with the Utah System of Higher Education. Stowell's background also includes stints in Washington D.C. with U.S. Senator Orrin Hatch from Utah, the Senate in the Utah State Legislature. Kelly is a constant adventure seeker and avid outdoorsman, who can be found fly fishing on secluded trout streams in the summer, and high in the mountains on his snowboard traversing the famous Utah powder covered slopes in the winter. Kelly has been involved with local planning for the Utah expedition and looks forward to sharing the adventure of life in southern Utah with the i2P community. Ryan Montgomery is currently a sophomore studying business at Brigham Young University (BYU) in Provo, Utah. 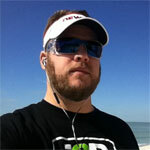 He devotes much of his time to helping others, finding adventures, running, and looking for opportunities to serve. 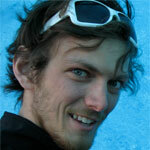 Recently in 2011, Ryan was a Youth Ambassador for i2P Expedition Bolivia. Ryan has a long history of competitive running. In cross country, he has competed in state and regional competitions and holds his high school record in the 5K at 16:20. In track and field, Ryan combines long-distance running with hurdles as he competes in the 3000m Steeplechase. Ryan also ran his first marathon at the age of 14. He hopes to someday quality and run in the Boston Marathon. 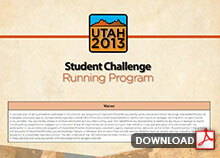 Aside from running, Ryan serves as a public relations program director for the BYU Student Service Association. 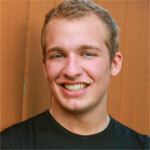 Ryan also volunteers for various service projects through Y-Serve, and he is a member of the renowned BYU Men's Chorus. 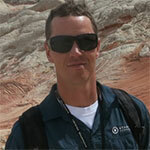 Ryan is excited to be a team member for Expedition Utah. He is looking forward to mentoring the youth ambassadors and preparing them to embark on the most exciting journey in their young lives! As a certified Chi Runner instructor, Mike's passion has been teaching runners how to incorporate efficient running technique to reduce the amount of effort, chance of injury and recovery time. 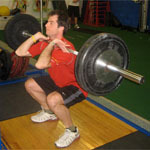 Mentally runners benefit knowing they can rely on their technique rather than brute strength when facing and overcoming challenging distances. 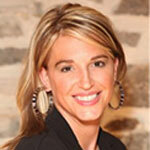 A native of Cape Breton, Nova Scotia, Natalie has dedicated her life to helping others around the world. 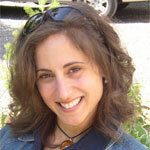 She started running in 2010 after a lifetime of inactivity, and has gone from 5k to marathoner. 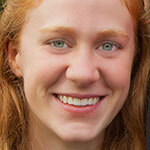 She is also a guide to blind athletes and is currently a mentor with Team in Training. 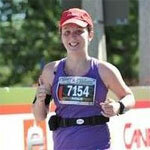 She has a blog for her family and friends to keep track of her training: www.nataliedoes42k.com. Natalie has a Master of Arts degree in International Affairs and is currently a policy analyst with the federal government in Ottawa. She has received the Junior Chamber International (CB Chapter) award for Excellence in International Affairs and most recently won the W3 Women's Award for Inspiring Young Ottawan of the year. 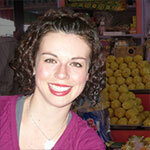 Natalie's passions have brought her across Canada, Africa and the Caribbean. She hopes to run a marathon on every continent one day and wants use running as a way to help other's live their dreams. Holly is a Registered Dietitian from St. John's, Newfoundland, with specialized training in Sports Nutrition from the International Olympic Committee. She works with the Janeway Lifestyle Program and has a private practice where she works with athletes and individuals who are trying to achieve a healthier lifestyle. Holly is the Director and co-founder of the G.I.R.L (Girls Into Running for Life) Club, which is a non-profit organization for junior high girls. This is a learn-to-run program about enjoying physical activity, meeting friends, having fun and supporting a positive body image. Holly is the co-chair of the Body Image Network and is an advocate for embracing body diversity and promoting positive body image. She sits on numerous advisory committees to help bridge the gap between healthy eating, being active and feeling good about ourselves. 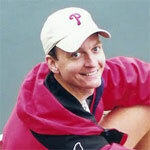 Holly is an avid runner and has completed nine marathons, numerous road races and a Half Ironman. She also just finished her first 80km ultra marathon, which has redefined her perceived physical limits. Holly is looking forward to her next upcoming challenge! Scott Sampson is a Canadian dinosaur paleontologist, evolutionary biologist, and educator who is currently Vice President of Research and Collections at the Denver Museum of Nature and Science. After receiving his Ph.D. in Zoology from the University of Toronto in 1993, he spent a year working at the American Museum of Natural History in New York City, followed by five years as assistant professor of anatomy at the New York College of Osteopathic Medicine on Long Island. From 1999-2007, he held a dual position with the Utah Museum of Natural History and the Department of Geology and Geophysics at the University of Utah, serving for the last several years of that period as chief curator and associate professor, respectively. His research has focused on the ecology and evolution of Late Cretaceous dinosaurs, and he has conducted fieldwork in a number of countries, including Kenya, Zimbabwe, South Africa, Madagascar, Mexico, the United States, and Canada. His current research efforts are focused on a large scale project in Grand Staircase-Escalante National Monument, southern Utah, which has yielded abundant remains of a previously unknown assemblage of dinosaurs. Sampson has published numerous scientific and popular articles, and has lectured extensively to audiences of all ages on dinosaurs and evolution. Appearing also as "Dr. Scott the Paleontologist," he is presently serving as consultant and host for the PBS children's series Dinosaur Train, produced by the Jim Henson Company. 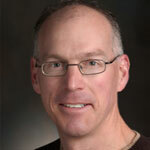 Randall Irmis received his doctorate in 2008 in integrative biology from the University of California, Berkeley, where he was supported by a National Science Foundation Graduate Research Fellowship. 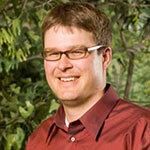 He received his Bachelor of Science in geology from Northern Arizona University in 2004. In January 2009, he began a joint appointment as assistant professor in the department of geology and geophysics at the University of Utah and curator of paleontology at the Utah Museum of Natural History , affiliated with the university. Irmis' research focuses on major changes in terrestrial vertebrate ecosystems in the fossil record and much of his work has centered on the origin and early diversification of dinosaurs. He is particularly interested in the influence of long-term climate change on these ecosystems, as recorded in the fossil and geologic record. Randall has conducted fieldwork throughout the American Southwest, including Utah, New Mexico, Arizona and California, as well as internationally in Mexico and Ethiopia. 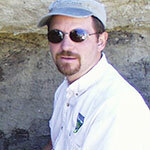 Joe Sertich is Curator of Vertebrate Paleontology at the Denver Museum of Nature & Science. He received his B.S. in Geology and Biological Sciences from Colorado State University in 2004, his M.S. in Geology at the University of Utah in 2006, and his Ph.D. in Anatomical Sciences at Stony Brook University in 2011. 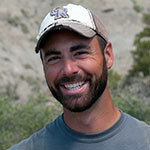 His research focuses on dinosaurs and other archosaurs, and their ecosystems, during the Late Cretaceous. 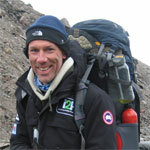 His field-based research is split between the Gondwanan continents of the southern hemisphere and western North America. He is one of the primary researchers on the Mahajanga Basin Project exploring the latest Cretaceous of Madagascar and has expanded the search for dinosaurs to older deposits across the island. He is also working in the Cretaceous of Antarctica and has several projects searching for the first latest Cretaceous dinosaurs of Africa, including work in northern Kenya and Egypt. In North America, he is currently working on projects in Grand Staircase-Escalante National Monument, Utah and in Cretaceous deposits across the Rocky Mountain west. 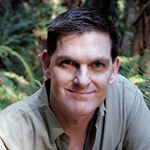 Ian Miller is a paleobotanist who specializes in Late Mesozoic plant taxonomy and ecology. He received his Ph.D. from Yale University in 2007 and became a Postdoctoral Fellow at the Denver Museum of Nature and Science until 2008, when he was hired as the Curator of Paleontology and the acting Curator for Geology. In 2009 Ian became Chair of the Department of Earth Sciences, which, along with the Curator of Paleontology position, he holds to this day. Ian uses fossil leaves to interpret past climates, fossil ecosystems, and how western North America, particularly in terms of its mountains and basins, has changed over the last 100 million years. These data help us understand climate change and the evolution of life on earth. Amber Hughes is a Botanist for Grand Staircase Escalante National Monument. She has held that position since May of 2005, prior to this she worked as a Biological Plant Technician for GSENM since August of 2002. Amber Hughes received her B.A. in Botany from Southern Utah University. Her interests include eradicating noxious and invasive species that are threatening native plant habitat, restoring disturbed habitats, and gardening with native plants. 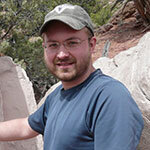 Matthew Zweifel has been working as an archaeologist at Grand Staircase-Escalante National Monument since 1999, coming to the canyons of southern Utah from the mountains of northwest Montana. Matt received his undergraduate degree in Anthropology from Oregon State University in 1981, and then worked as an archaeologist for several years before returning to school. He received his Master's degree in archaeology from Washington State University in 1994, specializing in the analysis of biological remains in archaeological sites. 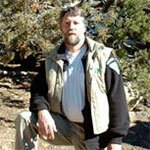 He has worked as an archaeologist in Oregon, Washington, California, Montana, Idaho, Arizona, and Utah. His work in the northwest emphasized the prehistoric use of mountain ecosystems, while in the southwest his attention has turned more to a study of the Virgin Anasazi and the complexities of running the Cultural Resource program at GSENM. 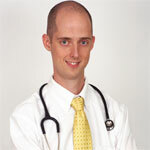 Mike was born and raised in Alberta, Canada and received his BSc. and MSc. from the University of Calgary, also in Alberta. He has been interested in paleontology since childhood. After working several years for the world famous Royal Tyrell Museum of Paleontology in Drumheller, Alberta, Mike moved to Utah in 2000 to become paleontology collections manager at the Utah Museum of Natural History (now the Natural History Museum of Utah). As paleontology collections manager, Mike is in charge of the museum's fossil specimens from the time they are collected in the field until they are cataloged and curated in the collections. His universally recognized expertise has led to him participating in expeditions in Arctic Canada, Madagascar, Africa, Argentina, and Mexico but Mike considers the Kaiparowits in Grand Staircase-Esclante National Monument one of his favorite places to work. Nick Gravel is the Director of Technology Development at Momentous Corporation based in Ottawa (Canada) where he gets to work with one of the brightest and most passionate group of web technology minds in the industry. 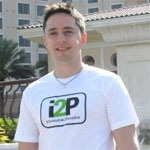 Nick brings to the i2P team his skills in managing the delivery of high performance Internet based technology solutions, extensive knowledge of software engineering best practices and award winning entrepreneurship experience. 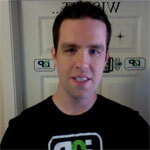 His educational background is a Bachelor of Engineering (Communications) degree earned at Carleton University. 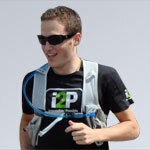 Nick is actively involved with the growth of i2P's web presence. 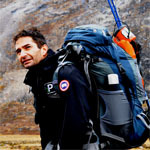 His efforts are mainly focused on the ongoing development of web based solutions that enable real-time two-way communication between our audience and i2P team members during expeditions.